FIRST Tech Challenge (FTC) teams participate in a new Game each year that requires them to design, build, test, and program autonomous and driver-operated robots that must perform a series of tasks. FIRST Tech Challenge teams can be only two students, but are usually between six and ten. FIRST Tech Challenge is designed for students in grades 7-12. 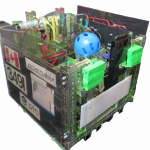 Find out more about the current British Columbia FIRST Tech Challenge Season or check out our Resources for FTC Teams. The playing field for the Game consists of the FIRST Tech Challenge game pieces set up on a foam-mat surface, surrounded by a metal and Lexan Field frame. Each Tournament features Alliances, which are comprised of two Teams, competing against one another on the playing field. Planning, brainstorming, and creative problem-solving. Appreciation of differences and respect for the ideas and contributions of others. Contact Us for more information about FIRST Tech Challenge in British Columbia. 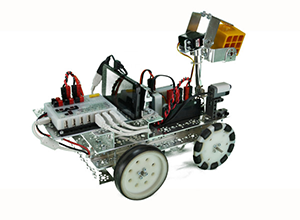 To learn more about FIRST Tech Challenge and other FIRST Programs, visit https://www.firstinspires.org/robotics/ftc.